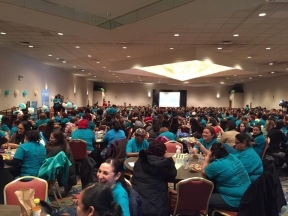 Over 700 parent mentors convened at the Apostolic Church of God on Friday, March 17th for the 2017 Statewide Parent Mentor Convention, an annual event where teachers, mentors, parents, and activists gather to discuss quality public education. 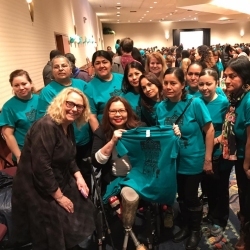 “I’m a strong proponent of public education because I’m a product of public education,” said Senator Tammy Duckworth, who attended the convention and met with parents. 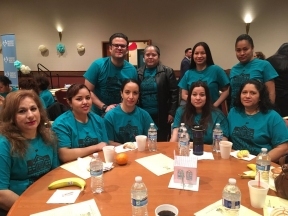 “It’s crucial that every child gets the attention and resources they need to succeed in school, no matter where they’re from, and I commend those participating in the Parent Mentor Program for their work to engage students in new and powerful ways.” Parent mentors participated in workshops with cross-city/cross-state conversations about how to organize for quality public education, create sanctuary in our schools, and build solidarity across racial and ethnic lines, across immigration and citizenship statuses, and across urban and suburban districts. 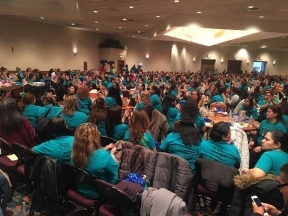 Parent mentors tutor children daily in classrooms in 72 low-income schools in Illinois, providing support to over 600 teachers and over 15,000 early childhood students. 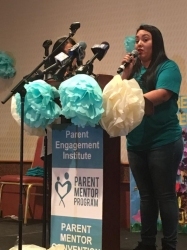 Parent mentors, mainly Latina and Black mothers, help fill persistent equity gaps in their children’s schools by tutoring students in classrooms 2 hours/day. 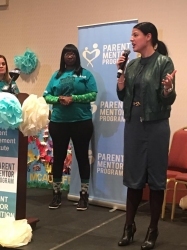 From this immersive classroom experience — supported by weekly training on instructional practices and community organizing — the Parent Mentor Program cultivates a strong cohort of leaders at each partner school. Despite the program’s demonstrated success, state funding for next year hangs in the balance. While ISBE recommended an increase to $2M for FY18, the funding recommendation was “$0” in the Governor’s education budget. 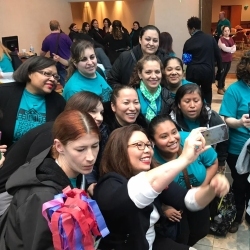 But parent mentors and their supporters in the legislature remain determined to sustain and grow the program, no matter what.